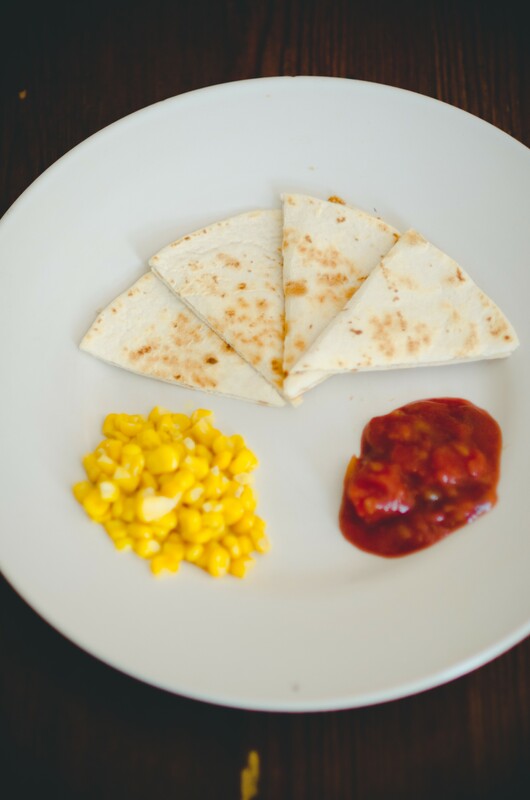 My family has our ten-year-old son, Eli, to thank for our obsession with quesadillas. He ate his first one at a restaurant when he was about six. We were traveling to visit my parents in New York and stopped at a sports bar type spot for lunch. Wary of the kid’s menu options and hoping to avoid anything fried, we ordered him a plain cheese quesadilla. He immediately fell in love. Back at home he began asking for them regularly and they quickly became a staple in our house. They’re easy to make, versatile and — when made with whole wheat tortillas and colorful veggie fillings — quite healthy. We pack them in school lunches, make them for snacks when friends come to play and even have a “special” meat-filled version we use as an alternative to pizza on Friday Movie Nights. They’re also a lunchtime favorite at Burlington Children’s Space. I fill them with cheese, black beans and sometimes thin slices of red and green peppers for the preschoolers, who devour them by the plateful. During the summer months, when fresh veggies are abundant, I love to serve them with corn on or off the cob, homemade salsa and avocado slices. The prep is very kid friendly, so if you have a budding chef in your family, pull a stool up to the counter and have a little one help you grate some good cheddar or jack cheese. If you have kid-safe knives they can also help prep the salsa ingredients. The rest is up to you! There are tons of delicious options for filling them, but one of my favorites comes from my go-to cookbook, Jamie’s Dinners by Jamie Oliver. A mild salsa I came up with at home makes a great accompaniment.